A MAROOCHYDORE man charged with the torture and attempted murder of his partner has been remanded in custody. Damien Lachlan Forrester, 36, was not required to appear for the mention of his matters in Bundaberg Magistrates Court yesterday morning. He is facing nine charges including assault, attempted murder, torture and wilful damage. It is alleged Forrester punched his partner, pushed her and threw food at her while she lay on the ground at a campsite at Rosedale. In September, Maroochydore Magistrates Court heard the defendant allegedly yelled at his partner: "I'm going to kill you" and then threw an esky at her back. 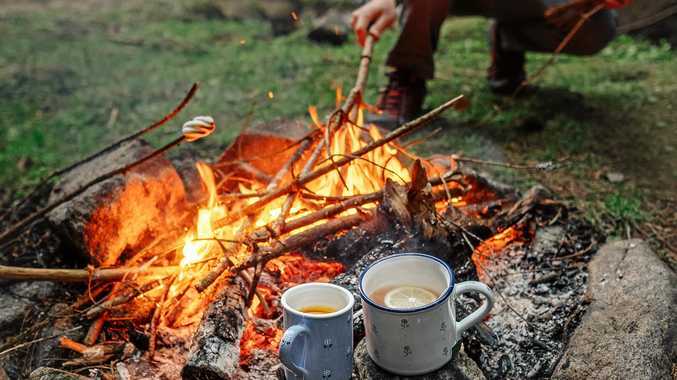 Police alleged the man's rage, which ignited when he thought his partner had been drinking his alcohol, led him to drag a collapsed tent containing his partner towards a camp fire while yelling "I'm going to burn everything". In a statement to police, the woman said she had tried to rip the back of the tent with her fingernails as she could smell the tent burning and feel the heat of the fire on her legs. It is alleged she eventually tore the tent apart and ran into nearby bushland as Forrester yelled, "I am burning everything and I'm going to stab you in the neck, you b----". The woman claimed she hid for four hours, watching the man throw their belongings into the fire, damaging her car and throwing her keys in a waterway. It is alleged the woman was hospitalised after the incident and suffered a sprained ankle, contusions on the back of her head and face and bruising. Forrester was denied bail on September 20 and remanded in custody. He has since been held at Brisbane Correctional Centre. Yesterday solicitor Andrew Bale asked Magistrate Belinda Merrin to adjourn the matter to December 20. It is understood Forrester's original lawyer, Anna Smith, recently withdrew from his case.